High-tech industry is mainly associated with the production of micro-electronics. However, it covers a wide spectrum of industries, from the production of space vehicles and medical instruments to biotechnology and pharmaceuticals. High-tech industries have a number of distinguishing features. They make products which are highly sophisticated; they rely heavily on research and development (R&D); and they are continually developing new products and new technologies. Most high-tech industries spend at least 1 per cent of their turnover on R&D, and at least 5 per cent of their employees work in this area. The main feature of the geography of Barcelona's high-tech activities is their tendency to cluster in El Vallès. This preference suggests that high-tech industries are not entirely footloose. Although traditional locational factors such as materials, energy supplies and transport costs have little influence on their location, they are none the less affected by locational constraints. The high-tech establishments fall into two groups. First, there are establishments which contain headquarters, administration and R&D functions; and second, there are branch plants concerned only with assembly and routine production. These two groups have different labour requirements, and have different locational patterns in El Vallès area. The large high-tech assembly plants such as Sony and Sharp are located on greenfield sites next to motorway access routes. They are characteristic of stage 3 of the Product Life Cycle Model theory (see below) and are likely to remain in Barcelona only until another equally accessible but cheaper labour location in the EU (where they can escape tariff barriers) becomes available. The product life cycle begins with the development of a product, and ends in its replacement by something better. Some high-quality products may have life cycles lasting one or two decades. From a geographical point of view there is evidence that products at different stages of the cycle are associated with different locations. Development Initial growth is slow. Efforts are made to improve quality and reliability, causing frequent changes in production processes and product Production relies heavily on scientific and engineering skills. 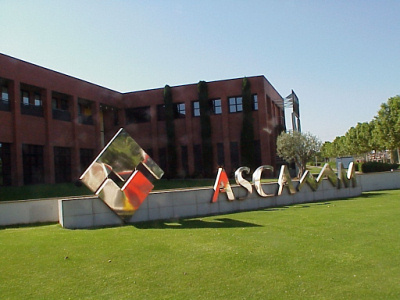 Thus, production locates close to the firm’s HQ and R&D operations. Maturity The product has been perfected. Sales grow rapidly and are directed towards lowering costs. The dispersal of production to peripheral branch plants begins. Standardisation The importance of skilled labour and technical inputs diminishes. Costs are lowered by mass production and the replacement of skilled by semi-skilled (often female) labour. The locational preference for peripheral regions, where labour costs are low, is typical of this stage. Those high-tech firms with headquarters, administration and R&D functions have knowledge as their raw material. This means that the success of any high-tech enterprise depends on its ability to recruit and keep highly skilled research scientists, engineers and technicians. 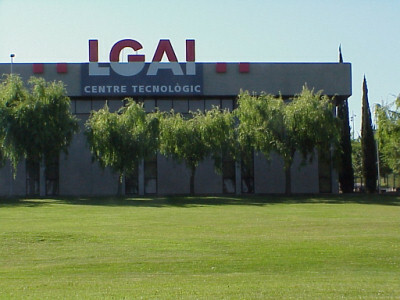 High-tech labour skills tend to be narrowly concentrated in El Vallès, where a Science and Technology incubator Park (Parc Tecnològic del Vallès) has been developed, the nearby university specialises in turning out students with applied science skills and the government has invested heavily in support infrastructure. Furthermore, employees are often very selective when it comes to where they are prepared to live and work. An environmentally attractive location (good climate, landscape, housing, services, etc.) is essential to hiring the right kind of labour (see Table 1 below). Companies must therefore go to where workers want to live. In Europe, it is increasingly the Mediterranean Riviera sunbelt. "What we liked most is the high qualification of the workforce, which is driven both by an excellent pool of universities as well as the best-in-class work ethic of the Catalan society"
Ignacio Fonts, Vice President and General Manager of Hewlett-Packard Inkjet Commercial Division.